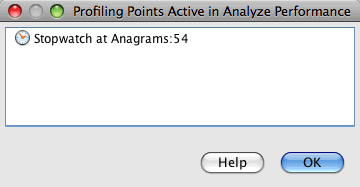 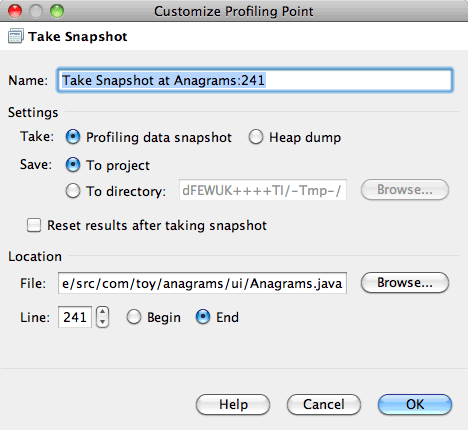 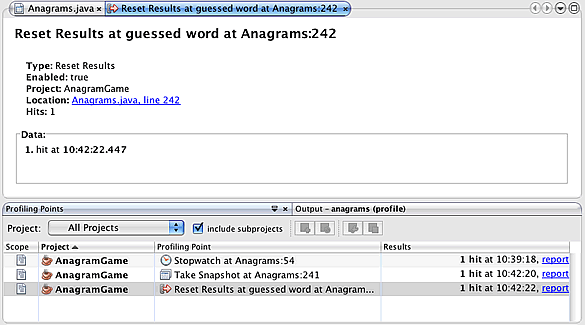 Open the Anagrams.java class in the editor by expanding the com.toy.anagrams.ui source package and double-clicking Anagrams.java . 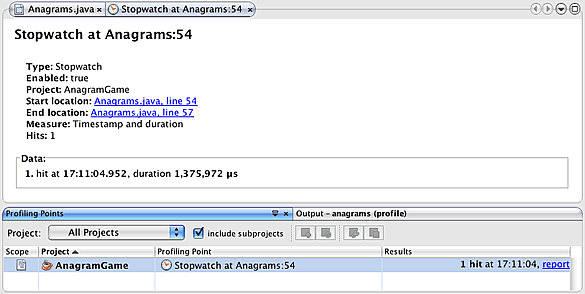 If you want to capture profiling data at a very precise moment you can use a profiling point to take a snapshot of profiling results or of the heap (heap dump). 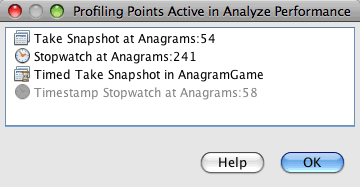 To take a profiling results snapshot (either memory or CPU) or a heap dump, you place a Take Snapshot profiling point in the source code, choose the type of snapshot and specify where you want the files to be saved. 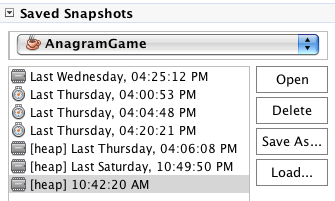 If you do not specify a location, all snapshots will be saved in the main project folder ( nbproject/private ).